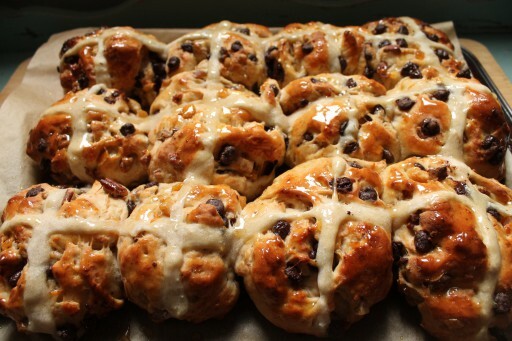 When you think about it, hot cross bun making is a great primary school tradition. Essentially, you’re learning how to make an enriched dough, how to be very patient (a typical recipe involves 2 or 3 proves), the Hot Cross Bun Song, why we make hot cross buns and then ultimately that we don’t like raisins (more of a personal life lesson there). 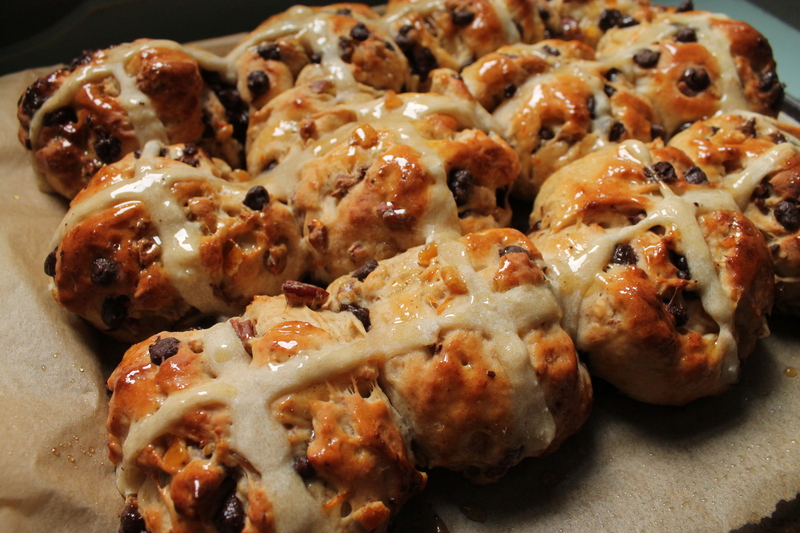 We have to admit, hot-cross-bun-eating (or making) has not been a key Easter tradition for us. It was mostly a fixation by the adults in my family – for us kids, we just obsessed over how many chocolate eggs we would get, prioritising them by the chocolate bar that came with it (Chocolate buttons were the best, Crunchie bars were the worst) and then figuring out which one we would eat first. We think it’s worth mentioning that growing up, we weren’t given very much sugar (unless we were at our grandparents’ houses) during the rest of the year. But as we’re growing up (up, not old! 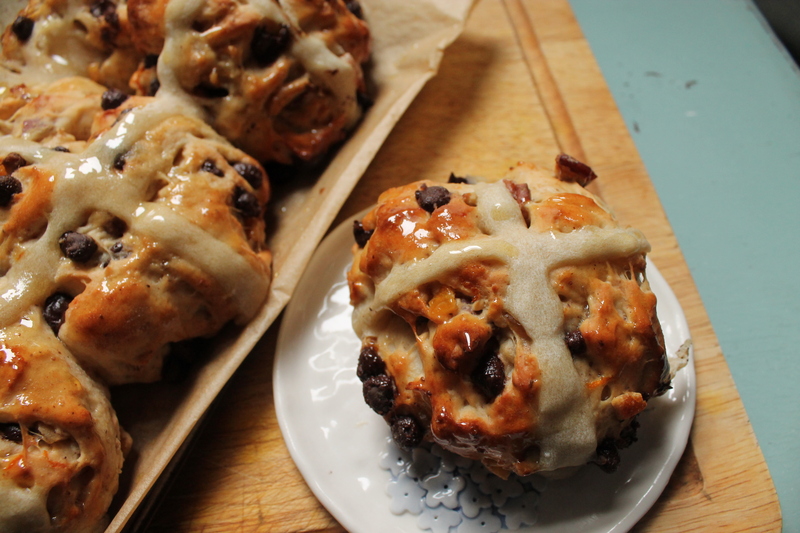 ), we’re appreciating the subtle taste and comfort of hot cross buns as well as the fact that it is a tradition still restricted to the British Isles/Commonwealth (Ben & Jerry’s haven’t come up with a Hot Cross Bun Ice Cream yet – though having thought about it, it’s a fabulous idea!). We agree, it is so much easier to buy them. There are all kinds of varieties available – toffee, ginger, date and cranberry – but most of them, to our chagrin, contain raisins and actually being factory-made, they’re really not as delicious as the ones you make at home. Now, having made them, you might decide it really is too much effort – but hey, at least you know what they’re supposed to taste like…. And having just come back from New Orleans, we decided that we could come up with a chocolate and pecan variety to please everyone. golden syrup for the apricot jam.